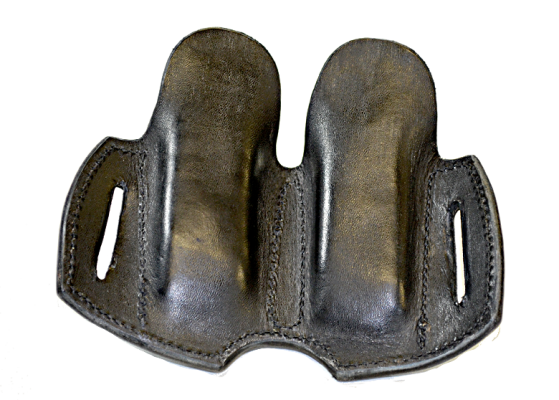 This is the classic pancake-style, double mag pouch, available for either single- or double-stack mags. 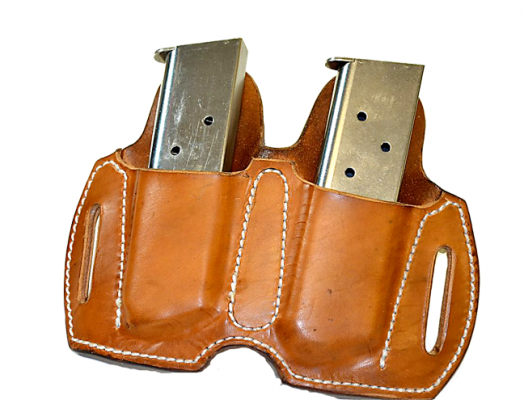 -- a leather guard to keep the magazines from biting into your side. 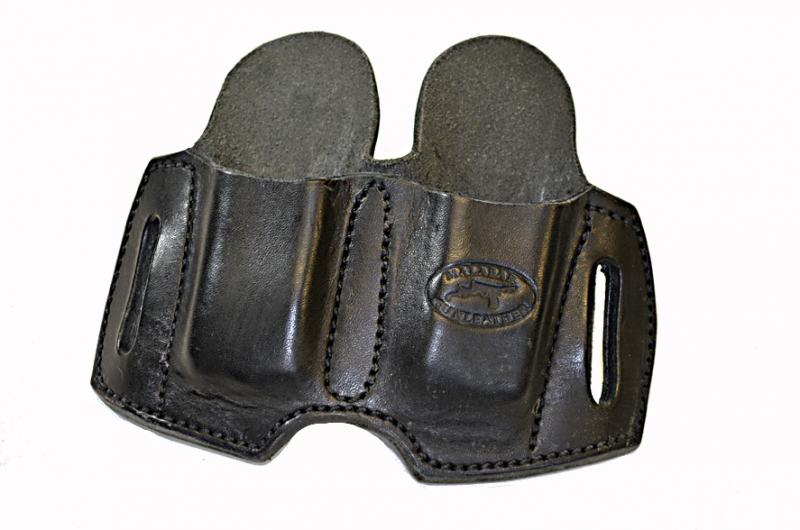 The double-stack pouches are cut to fit most magazines, like those from SIG, Beretta, etc. Please advise if you have a Glock or other extra-wide magazine. Pricing: $35 in cowhide, $40 in natural horsehide.